GMB Scotland in Ayr PTS – Industrial Action Ballot Update! Our industrial action ballot over your employer’s proposed shift patterns changes for PTS staff in Ayr is now underway. Your employer has refused to consider alternative proposals submitted by your union over the future delivery of shifts to meet service needs in the local area. We need the strongest possible rejection to bring the employer back to talks over changes to your terms and conditions. Our ballot has already started to move the employer back to talks. We have accepted the service’s request for a meeting on Wednesday 24 April in response to our original grievance. However, it is vital that everyone cast’s their vote in this ballot to ensure we go there with the strongest possible mandate against these shift proposals. So don’t delay, vote yes today! Our industrial action ballot gets underway this Monday (1 April) over your employer’s proposals to introduce new shift patterns for PTS staff at the Ayr station. This isn’t acceptable. That’s why we need the strongest possible rejection to bring the employer back to talks over changes to your terms and conditions. Your ballot paper will be delivered to your home address. You must return your completed ballot in the Freepost envelope provided to the ballot scrutineer at the Electoral Reform Society (ERS). The ballot will close on Monday 15 April. P.S. Remember! GMB strongly recommends you vote ‘yes’ for action short of strike. GMB Scotland in SAS - NHS Pay Reform Consultative Ballot Result – 98.8% Rejection! 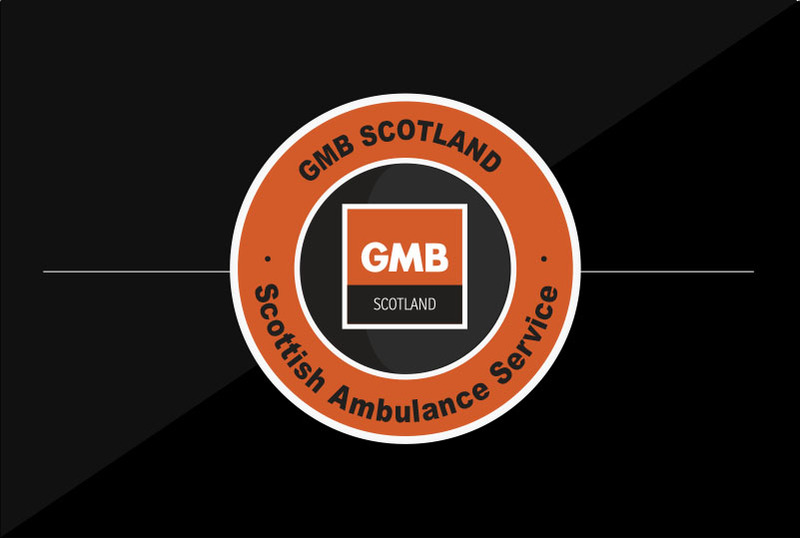 GMB members across the Scottish Ambulance Service have comprehensively rejected STAC’s proposals for further reforms to your terms and conditions by 98.8 per cent. I would like to thank you for your support in this consultative ballot and on a turnout which would comfortably surpass the statutory 50 per cent threshold for industrial action ballots. GMB will formally notify STAC of our ballot result at its next meeting on Friday 8 February and will be requesting urgent meetings with the employer side and the Scottish Government. We know that many of you are working longer and harder, and with fewer resources. The ability to actually take your TOIL time is becoming more and more difficult. STAC’s proposals for accrued TOIL not taken automatically to be paid after three months at ‘plain time’ would result in real terms pay cuts. This is an unfair proposal for GMB members. Our priority is the defence of your interests and we are now calling on STAC to ditch its proposals for TOIL payment cuts. As always, if you have any questions please contact gmbscotcampaigns@gmb.org.uk or call me directly during office hours on 0141 332 8641. GMB in SAS: NHS Pay Reform Ballot – Don’t delay, vote REJECT today! GMB’s consultative ballot campaign to reject STAC’s ‘further reform’ proposals of your terms and conditions is nearly over. Our ballot closes on Monday (4th February) so if you still haven’t voted then don’t delay, vote today! We are clear that the STAC proposals for accrued TOIL not taken automatically to be paid after three months at ‘plain time’ will result in real terms pay cuts. Still not sure about what this means for you? Our short video can help explain - and it’s only a minute because we know how busy you are. Watch it here! If you haven’t yet been balloted please email me ASAP at KL.Leonard@gmb.org.uk and we’ll send you a ballot via text message to your mobile. GMB Scotland in SAS – NHS Pay Reform Ballot - Still time to vote! Our ballot over the NHS pay reform proposals tabled by STAC is reaching its final stages, closing on Monday 4 February – but if you haven’t done so already it’s not too late to vote! That’s why we are balloting you over STAC’s proposals for further reforms and that’s why we are asking you to vote REJECT. Thanks to all of you who have voted so far in your workplaces, via your mobile or by post. If you haven’t yet been balloted please email me ASAP at KL.Leonard@gmb.org.uk and we’ll arrange a workplace visit or send you a ballot via text message to your mobile. GMB Scotland in SAS – NHS Pay Reform Ballot Update! On Monday we will enter the final week of our consultative ballot over the NHS Pay Reform Proposals recommend by the Scottish Terms and Conditions Committee (STAC). Many of you have been asking how this affects you and your terms and conditions. We are clear that the STAC proposals for accrued TOIL not taken automatically to be paid after three months at ‘plain time’ will result in real terms pay cuts. It’s been noted that sources outside of GMB are stating that nothing will change as a result of these reforms. This is wrong. The accrual of toil not taken within three months will be paid at ‘plain time’ rates only, devaluing this payment as a result. Thanks to all of you who have voted so far in your workplaces, via your mobile or by post. If you haven’t yet been balloted please email me ASAP at KL.Leonard@gmb.org.uk and we’ll arrange a workplace visit or send you a ballot via text message to your mobile. Over the weekend we’ve welcomed the opportunity to meet with members at their stations – thanks to all of you who have taken the time to vote in our ballot so far. A number of you have asked for some points of clarification on the TOIL reforms, particularly in relation to the value of TOIL where payment applies. The STAC proposals recommend that TOIL accrued and converted to pay will be done so at plain time - it is currently paid at your overtime rate of time and a half. This means the rate for TOIL payments would change from overtime (‘time and a half’) to basic (‘plain time’) as of the 1st April 2019. This is an unfair proposal. That’s why we are strongly recommending you vote REJECT. Our ballot runs until Monday 4 February - vote today! NHS Scotland Pay Reform Proposals - Important Consultative Ballot Notice! Why you should REJECT. Our priority is the defence of your interests. On Monday we are launching a consultative ballot of our members across SAS and the NHS recommending you REJECT the proposed Pay Reforms tabled by the Scottish Terms and Conditions Committee (STAC). Our campaigning materials outlining the case for rejection, along with a report of the STAC Proposals, can be accessed at the foot of this campaigns page. There is a danger to your terms and conditions from the organisational change and protection of earnings reform but the proposals for this have been delayed. However, the proposals on TOIL represent the first wave of cuts; a worrying indication of what’s coming. You did not sign-up for a pay deal that gives little with one hand and cuts with the other. Your union will not sit-back and let these proposed attacks on your terms and conditions go unchallenged. We must send a clear message that such cuts are not acceptable. Between Monday 14 January and Monday 4 February, please look out for communications via your reps, on your mobile and email about when and how you will be balloted. This will be conducted in the workplace, electronically (SMS) or by post (home). Members in SAS may be aware that your employer has moved to block facilities arrangements for your reps in an attempt to thwart our workplace ballot. We have written to the Scottish Government asking them to reverse this threat to basic democracy over issues affecting your interests. You can read the letter here. Should the Scottish Government not intervene, please be assured that your GMB organisers will be on site at your workplace to ensure you have your say on your terms and conditions. P.S. Remember! You did not sign-up for a pay deal that gives little with one hand and cuts lots with the other. REJECT these dangerous proposals. The priority of GMB Scotland is the defence of your interests. That’s why we are launching a consultative ballot of our members across SAS recommending you REJECT the proposed Pay Reforms tabled by the Scottish Terms and Conditions Committee (STAC). Last year we were the only union to strongly campaign for members to reject the NHS Scotland pay offer. GMB was clear in our concerns about the worryingly undefined “Further Reforms” elements contained in the three-year pay deal. STAC recently reported its recommendations for these reforms, which will be submitted to the Scottish Government with a view to implementation on the 1st of April 2019 (the report can be accessed here). The reality of this ‘reform’ is now becoming clear and it’s not good news for SAS staff. While consultation over the proposals affecting the reform of organisational change and protection of earnings has been extended, there is an immediate challenge to your interests in the reforms to the utilisation and application of TOIL. In particular, proposals to restrict the accrual of TOIL to 15 hours a month and for accrued TOIL not taken automatically to be paid after three months at plain time will result in real terms pay cuts for SAS staff. It is an unfair proposal for GMB members. You did not sign-up for a pay deal that gives little with one hand and cuts lots with the other. Your union will not sit back and let these proposed attacks on your terms and conditions go unchallenged. A consultative ballot seeking your views will run from Monday 14 January until Monday 4 February. You will be asked whether you accept or reject the Pay Reform proposals. GMB strongly recommends you vote to REJECT. We will conduct this ballot in your workplace where possible. Where we are unable to reach your workplace you will be provided with either an electronic ballot via your mobile phone or a postal ballot to your home address. Schedules will be confirmed shortly. Contact your local GMB workplace representatives. Call us on 0141 332 8641 requesting ‘SAS membership contact update’. *This is the GMB Scotland Communication of Friday 17 August issued to all NHS and SAS members with registered email and mobile contacts. It has come to our attention that members in SAS did not receive this communication, instead receiving a previously issued update. We are investigating this obvious error and we sincerely apologise for any confusion and inconvenience this has caused. The priority of GMB Scotland is the defence of our members’ interests. Together we campaigned for an above inflation pay award for NHS and SAS staff, plus a lump sum payment, to help tackle nearly a decade of cuts to your pay and conditions. The need for a pay deal that tackled austerity and put more pounds in your pocket was clear and compelling. And that’s why we campaigned for a rejection of the Scottish Government’s three year, below inflation, interlinked offer. Your response in our consultative ballot was overwhelming – a 98 per cent rejection across our NHS and SAS membership. This is a real demonstration of our trade union values and ambitions for NHS and SAS staff. Today (Friday 17 August) your GMB representatives met with our trade union colleagues on the NHS Scottish Terms and Conditions Committee (STAC). GMB is the only union to reject the offer. Every other NHS Scotland union has accepted. It is the prerogative of other trade unions to make recommendations which they believe is in the interests of their members. But for GMB Scotland we were clear from the outset: The offer is unfair, unequal and commits members to reforms that are unknown. The scale of support for the three year interlinked offer among the memberships of our sister trade unions means it will be implemented across the NHS and SAS. GMB Scotland is bitterly disappointed by this because it is not a credible prescription for tackling the cuts. We will now convene a meeting of our NHS & SAS workplace representatives to discuss our next steps. Details of this will be communicated to you over the course of next week. In the meantime, our immediate campaigning focus will turn to tackling the imposition of interlinked reforms which are part of this offer. If our members are forced to swallow a below inflation pay deal for three years, there is no way we will entertain additional cuts. In the meantime, if you have any questions then please do not hesitate to contact me at KL.Leonard@gmb.org.uk or call 0141 332 8641 during business hours Monday to Friday. GMB in NHS Scotland & SAS: Pay Consultative Ballot Closes Monday 13 August – FINAL REMINDER! That’s why we have been campaigning across NHS Scotland and the Scottish Ambulance Service over the summer, urging you to reject the unfair and unequal three year offer. Our ballot will close next week on Monday 13 August, so if you haven’t already voted in your workplace or returned your ballot paper then don’t delay, do it today! The three year offer gives no guarantees that it will consistently match the cost of living for you - it does not deliver “9 per cent”, it offers 3%, 2.72% and 2.86% for the next three years. The offer would commit staff and their trade unions to a programme of as yet undefined reforms to terms and conditions, leaving you vulnerable to further cuts in the near future - why would we agree to something that is unknown? The percentage increase for grades up to £80,000 and the £1,600 flat cash increase for grades above £80,000 means the highest paid will receive a bigger pay increase than the lowest paid – that’s ludicrous after ten years of austerity. The devil is in the detail. This offer is unfair, unequal and would commit us to reforms that are unknown. That’s the hard truth and that’s why we cannot credibly recommend anything other than a rejection. If any of your colleagues aren't in a trade union and want to be involved in campaigning for better pay and conditions, then please encourage them to join GMB - www.gmb.org.uk/join - or feel free to send them this update. P.S. Remember! GMB’s ballot closes on Monday 13 August – if you haven’t done so already then don’t delay, vote ‘reject’ today! That’s why GMB has consistently campaigned for a pay award that not only beats the cost of living but tackles a decade of cuts imposed on our SAS staff. But the truth is that the Scottish Government’s interlinked offer doesn’t meet these expectations and that is why your senior reps are unanimous that GMB Scotland members should reject the three year pay offer as it stands. The devil is in the detail and as it stands, this offer is unfair, unequal and would commit us to reforms that are unknown. This is not a credible prescription for tackling a decade of austerity on staff working harder than ever to keep the SAS running day in and day out. Neither should the Scottish Government attempt to distract from the realities of this offer by justifying it off the back of the real-terms pay cut for the NHS in England. That’s just not good enough. Our priority should be about getting the best deal possible for NHS Scotland and SAS staff. That’s what GMB has been campaigning for and we are clear that more still needs to be done for all staff, not just those earning over £80,000. Our consultative ballot over this offer will begin on Thursday 5 July and run until Monday 13 August. GMB will ballot our members in the workplace but if we don’t ballot you at work, you will receive a postal ballot. So please ensure your contact details, particularly mobiles, are to up to date. P.S. GMB’s consultative ballot will run from Thurs 5 July to Mon 13 Aug. We strongly urge members to REJECT the NHS three year pay offer. GMB has been in discussion with sister trade unions, the Scottish Government and NHS representatives for a number of weeks now over the future of your pay and conditions. · An £800 consolidated lump sum payment to tackle years of pay cuts. These pay talks are on-going and we will ask you to vote on the final offer over the summer months. Ultimately, when a full offer has been tabled, you will decide if the pay offer is good enough or not. Over the weekend you may have seen the reports about the Scottish Government’s decision to impose a 3 per cent increase on your pay for this year while these talks continue – something that’s been called a “payment on account” by the First Minister. Let’s be clear for the avoidance of doubt: The First Minister’s announcement was not done in agreement with GMB. It is less than what we have been campaigning for and we believe you deserve more. But what does this mean for you? Well, 3 per cent may look agreeable at first glance but the devil is in the detail. As it stands, 3 per cent means PTS staff would get an annual increase of around £500, a Band 5 Technician around £670 and a Band 6 Paramedic around £800. But SAS staff like senior managers on £80,000 and over will get a flat £1,600 cash increase. Should the SAS Chief Executive get an increase worth double than that of a paramedic? GMB Scotland doesn’t think so. It is staff working longer and harder at the coal-face of the SAS that deserve the biggest increases. Pay talks continue this week and GMB will be making our feelings on this matter very clear. We also call for this 3 per cent imposition to be classed as an interim payment only, until you have voted on the final offer. Our priority is the defence of your interests and we believe you deserve better than an imposed pay award that values our members less than the biggest earners in SAS. Remember! If any of your colleagues aren't in a trade union and want to be involved in campaigning for better pay and conditions, then please encourage them to join GMB - www.gmb.org.uk/join - or feel free to send them this update. GMB Scotland defending your interests. That’s why, GMB met with the Director of HR on the 29 May to discuss issues between PTS and Low Acuity roles. GMB firmly believe these are separate roles. We have a commitment from HR that they will contact ACC to ensure all calls are directed to the right groups of people for each job. are not PTS routine jobs ie low acuity calls. If you are a low acuity member of staff please contact us if you are being sent to inappropriate low acuity calls. Recently, more and more of our members in the Scottish Ambulance Service have been telling us that their safety is being comprised by violence and aggression in the workplace. This includes both physical and verbal abuse leaving already hard pressed staff distressed, injured and requiring professional counselling. It is affecting members’ ability to work but, incredibly, has also left staff facing disciplinary action. This is totally unacceptable and cannot be left unchallenged. But if we are to meaningfully address this problem then you employer must recognise that there is one – so we need to hear your views. GMB Scotland is campaigning to expose the uncomfortable truths about the working conditions of staff and the state of service delivery across the SAS. The closing date for responses is Friday 16 February. Breaking Point! Over worked, under-resourced. It’s time for an honest debate about the future of the Scottish Ambulance Service. The SAS is at breaking point. You are overworked and under resourced. But with lives in your hands there remains an expectation that you will always be there and always deliver. That’s not realistic and it’s not sustainable. Working over and above your proper shift patterns is the new normal. Vehicle and equipment checks go undone because of the demands on your working time. Meals breaks are missed and rest periods are spent on the job. Patient transfer supply cannot meet demand. Stress is constant. The truth is that the increasing demands and pressures heaped on you against a backdrop of service cuts is yet another example of the austerity shame across our public services - and it cannot go unchallenged. The priority of GMB Scotland is to defend your interests. That’s why it’s time for an honest debate about the future of the Scottish Ambulance Service. There is denial in senior management and the Scottish government over the scale and severity of the problems in our ambulance service. There is ignorance among the public about the pressures you are under on a daily basis. The first step in addressing a problem is recognising that there is one and GMB Scotland will campaign to expose the uncomfortable truths about the working conditions of staff and the state of service delivery across the SAS. The decision of the pay review body to award another below inflation pay award across NHS Scotland for 2017/18 for the vast majority of workers is deeply disappointing. Members on all pay points over £22,000 a year will receive a 1 per cent increase for 2017/18. Members on all pay points of £22,000 a year and below will receive a flat rate increase of £400 for 2017/18. To put the above offer into context, the traditional measure for trade union pay negotiations, the Retail Price Index (RPI), rose to 3.2 per cent in February 2017. This would mean that the vast majority of you will be working longer and harder for less. But this is the story of the last ten years in NHS Scotland: Overworked, under-resourced and undervalued. With this latest pay offer, the powers that be are suggesting this continues as normal. This cannot continue to go unchallenged with so many services at breaking point. GMB Scotland will now consult with our workplace representatives across NHS Scotland services to discuss our response and will update you as soon as possible on our next steps.